The Nebraska football team awarded three walk-on athletes scholarships on Wednesday, with the news breaking on Twitter. The three were fullback Luke McNitt, I-back Austin Rose and wide receiver Bryan Reimers. Tweeting (or retweeting) the news, each player celebrated the accomplishment with their teammates and Nebraska fans. A senior from Kearney, Nebraska, McNitt proudly announced his scholarship on Twitter. McNitt has been with the Huskers since 2014, when he transferred from Nebraska-Kearney. He redshirted his first season at Nebraska, working with the scout team offense. Junior I-back Austin Rose becomes the first athlete from Lincoln North Star to earn a full-ride athletic scholarship at Nebraska. Rose called it the "best news" he's heard in awhile. He joined the Huskers in 2014, where he redshirted his first year on the team and worked with the scout team offense. Reimers, a junior from Lincoln East, made a name for himself during the 2016 season when he caught a touchdown pass against Oregon. His catch quickly became one to remember and the walk-on earned a lot of attention for it. He also had receptions against Indiana, Maryland and Tennessee. The wide receiver walked-on at Nebraska as a freshman in 2014, where he spent his first season as a scout team receiver. The Fremont, Nebraska native was also awarded a scholarship on Wednesday, per teammate Mick Stoltenberg. Conrad made his first career start against Ohio State this past season. He walked-on to Nebraska in 2014, redshirting and working with the scout team offense to start. Hoppes played one year at Wayne State before transferring to Nebraska to walk on. 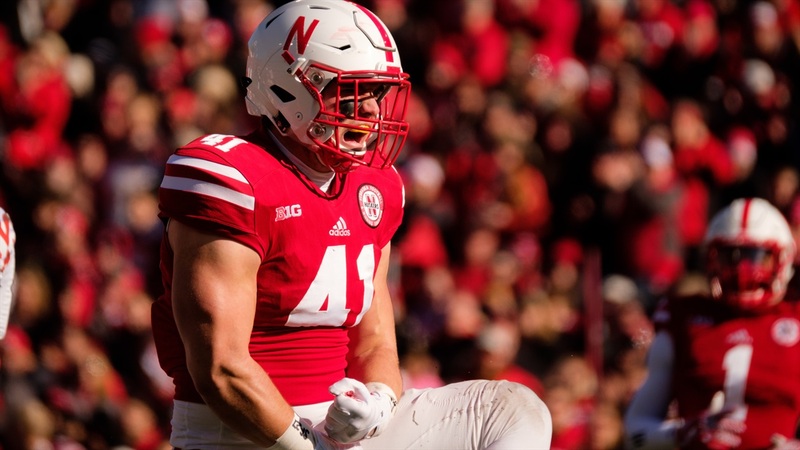 Hailing from Lincoln Southwest originally, Hoppes spent his first season with the Huskers in 2014 redshirting as he sat out per NCAA rules for transferring. Ketter, a tight end from Norfolk, Nebraska, walked on at Nebraska in 2013. He worked with the scout team offense before continuing to compete at the tight end position for the Huskers.